Erection phase management – we’ve introduced the erection phase management, which starts from the generation of the spool as a catalog item with calculated weight and dia-inch, so that it can be managed together with the erection material during warehouse handling and erection analyses. By using this management, prefabrication and field installation can be monitored; moreover, the assembled spools and the erection material can be checked for availability through time with real and forecast sketch analyses. Many features and a “new” workflow have been delivered with this management, therefore, if you’re interested, please don’t hesitate to contact us and get more info about it. 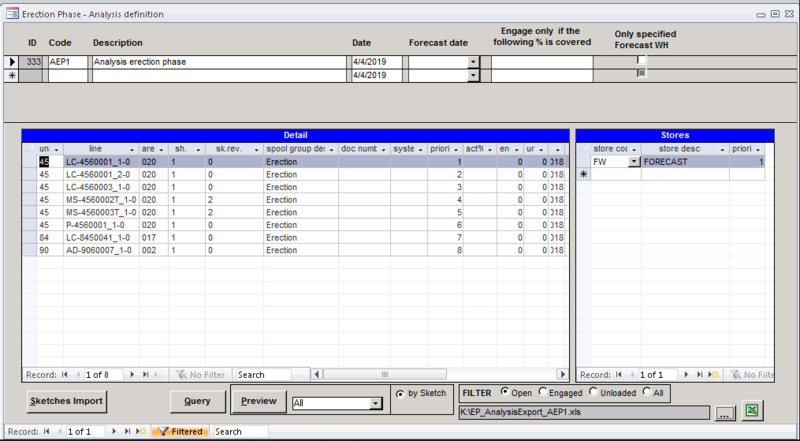 Analysis criteria with priorities assigned – it is now possible to create and save criteria defining analyses that identify those spool packets which user wants to analyze. This avoids the import of the same spool series every time and it allows to set priorities based on the selected filter attributes. 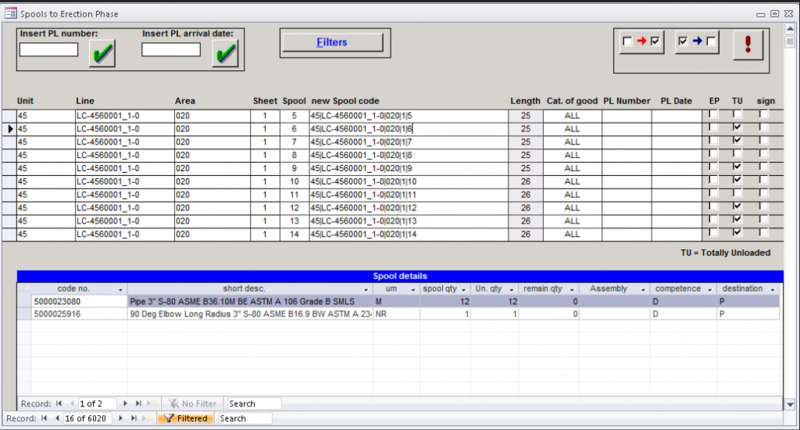 When a new MTO revision gets imported, a simple refresh of the selected analysis will automatically update the spools complying with the selected criteria based on the new MTO, without having to import the spool again. Load multiple PL/PO – simultaneous registration of different PL/PO in warehouse load events. Fast insert for PO, PL and MR – PO, PL and MR can be imported from other systems with the “copy and paste” mode by using the “Fast Insert” button on each form; document forms have been reviewed to give more information to the user. Import catalog, sketch MTO and Spool MTO by file – it is now possible to import, at every level, information that get Cosmo5 operational, from the component catalog to the spool MTO through Excel file. It can be a step-by-step import with single files, or a one-file import (import ALL), that allows users to import all contexts in one transfer only. This last method is particularly useful, for example, when you need to import data into Cosmo5 from a MTO coming from CAD, so that you can simultaneously create both the codified catalog and the sketches/spools with the MTO detail. Check difference by sketches – a report is now available showing differences between sketch and spool, by selecting the sketches that need to be verified. This function is generally used after a new isometrics import, to analyze differences between spools generated by the previous isometric revision. 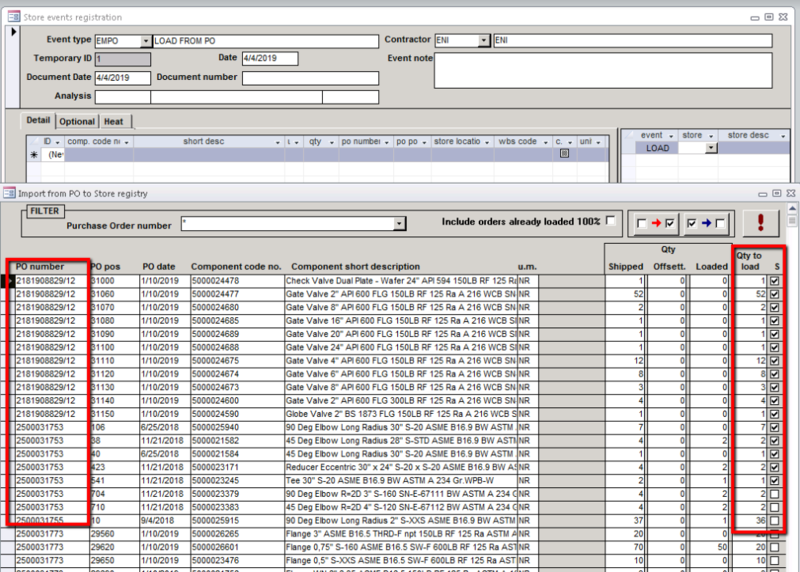 Import loaded materials from other systems – events of warehouse loading (both from PL and from PO) can now be imported from other systems by using a dedicated function that checks the compatibility with project data. Event History Query ALL – a report of all project events with the maximum detailed level (for event, component) is now available and it can also be exported to Excel; it is used to monitor the history of material handling during the entire project.